please leave a comment below. Include a link to your blog, site or FB page & any special offers you have. Donna L Wentz-Hilbert Looking for a way to get your health, weight and.or wealth back on track? Work with me at www.donnawentz.com Hit Join now! Milinda Wilkins Gmitter Get Stem Cell Technology in the most amazing anti-aging products ever! Buy at wholesale prices with a $49 membership. Message me for a 7-day trial. Liberty De Mauro Join Lemongrass Spa Products in the month of April and receive a coconut bronzing butter and a coconut lime vanilla body polish free with your consultant kit! I will also send a suprise gift for joining my team! At FindSalesRep.com we are always looking for new and better ways to help you GET FOUND AND PROSPER! It’s our goal, to Help You Get Found, Get Leads and Grow Your Business. AND TODAY… We Have Found a Whole NEW Way!!!! We are about to UnLock the FindSalesRep Treasure Chest! Will you find Diamonds, Emeralds, Sapphires or Pearls? Let’s say you are growing your business. You are going through all the traditional routes, but you know that most business are online and that some of the most successful Reps in the Direct Sales Industry take advantage of the advertising opportunities found on the internet. There are many things you can do immediately to start promoting your business online. Facebook, twitter, google ads and directories are all proven avenues and there are many more. The most successful tools are those that put you and your business right where people are looking. THAT’S WHAT WE DO! FindSalesRep can help get you found Locally in you area, City, State or even across the Nation! 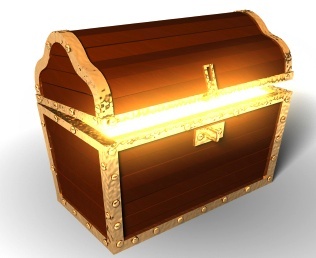 AND… the FindSalesRep Treasure Chest will help you Save on YOUR FindSalesRep Listing! The FindSalesRep Treasure Chest is so exciting! Soon you will be able to UnLock YOUR FindSalesRep Treasure Chest by going to www.FindSalesRep.com Click on the Treasure Chest symbol, enter your Location, Company, Name and Email and you will INSTANTLY be able to view all that YOUR FindSalesRep Treasure Chest has to OFFER. Offers will always be changing, so if you get a Diamond, act FAST! They will not last long. Your Treasure Chest can OFFER you HUGE Savings on Listings offered at http://www.FindSalesrep.com or in Canada at http://www.FindsalesRep.ca. How Huge? Between 10% – 95% on every type of listing we OFFER! Every Company and Every Location will have different OFFERS in the FindSalesRep Treasure Chest and they will be changing ALL the time! 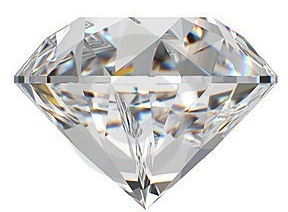 A Diamond will be the BEST! If you get one – Congratulations! Our Treasure Chest DEALS will Never be better than Diamond. Emeralds are the Next Best Thing! Our Deals are usually pretty good, but these will will make you get up and DANCE! There won’t be many, so if you get an Emerald, Get Up and Go For It! 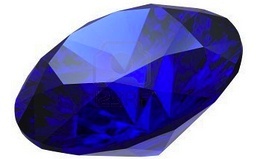 Sapphires are a little bit more common, but still Super Special! These Specials will give you deep discounts on a bunch of our listings. They won’t always be offered for every company, in every location, but we are hoping you’ll get a few in Your FSR Treasure Chest. The Pearl! Pearls are sought after, beautiful and valuable but usually they look best in a bunch! When you check Your FSR Treasure Chest, you’ll be looking for the Best Possibles Deals for ALL of Listing options. 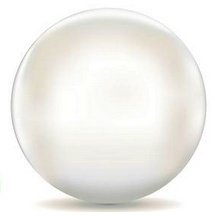 Often, the Pearl will be available. But… NOT always! If you see one, THERE ARE NO LISTINGS AVAILABLE but add your name to the Waiting List. We will let you know when it becomes available and give you a ! Sometimes, well your Treasure Chest might have already been raided. You’ll just have to try again later and hope for better LUCK! We know that you are going to have a lot of Fun With The FindSalesRep TREASURE CHEST! Good LUCK! We have collected some of the best Direct Sales Offers around! But… we may have missed a few. If you can’t find what you are looking for – JUST ASK! And… If you would like to add to our offers, We want to know what YOUR ARE SELLING! Are you in Direct Sales? SELLING SOMETHING that you are passionate about? Do you have an interesting way of selling it? How about a Special Offer? Gotta DEAL or Coupon or something that No One Else Has? Let’s hear about it! Just about any product or service can be purchased through direct selling. Many people think of cosmetics, wellness products and home décor as products that are often sold through direct sales, but add to that countless other product categories including kitchen products, jewelry, clothing, organic gardening supplies, spa products, scrapbooking supplies, rubber stamps and much, much more. So, Whatcha YOU Got? Give US ALL a reason to Buy From YOU in the comment section below! Thanks and we hope you find what you are looking for! Krystal Stucker The new shields for fall are available on my website–AND introducing the Jamberry Juniors for kids! 😀 There are more shields on a sheet for the Juniors, and obviously they’re littler. So much fun! Go to http://krystalstucker.jamberrynaisl.net/ to check out all the shields and order yours today BUY 3 Get 1 FREE!! Julie Bruce Smith I am selling chocolate… not ordinary chocolate…Lindt chocolate!!! delivered straight to the customer from the warehouse…FRESH… plus our starter kits are on sale for $49!!! order yours today at www.mylindtchocolatersvp.com/675 ANY order created from this post receives 10% off!!! Cara Crosby Carroll I sell the full line of products from It Works! Of course, our best selling product is the Ultimate Applicator. But, following a very close second are our Greens. We aim to get you healthy from the inside out! You can check out all of our products at https://cara.myitworks.com/! And, best of all, our sign-up fee is still half price through September!! Trish Hazzard Do luv the skin U R N? You will! www.luvtheskinURN.com Discover how to correct a complexion without a procedure or trip to the dermatologist. Brandy Deibert-Palulis Check out my ONLINE outlet sale going on now through Monday night!!!! Take an extra 20% off with code LABOR20 at checkout….I just ordered $80+ worth of decor for $50!!!! That’s 6 gifts to give away this holiday season…stock up now. www.partylite.biz/chamakays Hurry, things are selling out FAST!!! Jody Weber New Preimere Designs Jeweler here from Long Island NY looking to grow my new business. Let me accessorize you get ready for Back to School inbox me today. Nicole Nobles I have a Mystery Hostess party going on at http://www.flashynailz.jamberrynails.net Each sheet purchased will be entered into the drawing! Buy three and get 1 free! Winning hostess will receive the benefits and be entered into the drawing for a year’s worth of shields free! Lynette Wray Jackson Got Wrinkles? http://neriumskin.nerium.com/ – give it a try 30 day money back guarantee ! headaches.Thieves Oil (contains clove for its antimicrobial properties and cinnamon for its purifying properties.Frankincense, Lemon, Purification, Panaway, Peace and Calming, and Valor. All these oils ensure you will have can improve the lifestyle of those who use it. our official website is www.youngliving.com if you wish to sign up you can go to my website www.youngliving.org/oilsuneed. *No PRV requirement through 2013! *Special Start-up packages available for new consultants. ($29.95 or $59.95) which includes samples of products and catalogs. Nothing to lose! Ground Floor opportunity! At Initials, Inc. we specialize in personalized gifts for yourself or someone else! Our personalization is ALWAYS FREE!!! Just about any product or service can be purchased through direct selling. Many people think of cosmetics, wellness products and home décor as products that are often sold through direct sales, but add to that countless other product categories including kitchen products, jewelry, clothing, organic gardening supplies, spa products, scrapbooking supplies, rubber stamps and much, much more. And… usually these products are far superior to the ‘regularly retailed’ counter parts sold in stores. So, Whatcha Got? Give US ALL a reason to Buy From YOU! Christine Whiting Offer something very special for all orders placed during my Summer Shopping Event at http://www.mythirtyone.com/shop/catalog.aspx?eventId=E2030843&from=DIRECTLINK $10 in Fall bucks for every $40 spent, woohoo!! Linda Beny August Special with Uppercase Living purchase A frame works frame and get a FREE magnetic insert! http://lindabeny.uppercaseliving.net Make your space a reflection of the unique individual you are. Are you SELLING SOMETHING? Do you have an interesting way of selling it? How about a Testimonial or FREE Trial? Give US ALL a reason to Buy From YOU! Michelle Fritz ‎Every Girl Deserves To Love Her Purse is offering a special incentive if you place an order today!!! Check out my page! Deanna Sweidel Easy and fun! www.ditabelle.jamberrynails.net has the HOTTEST nail shields! Order today and be entered to win an extra set! Amy Templeton Delong I sell handmade tutu’s,bows,barrettes and more from babies to young ladies at KidZBowtique here on facebook,check me out!! Azuli Skye ~ Nicole Nobles Beautiful sterling silver jewelry that is made in the USA!! Charms and Mimzi’s along with items that can be personalized with names and words! Visit www.azuliskye.com/NicoleNobles to see and book your online party(which can be done from anywhere in the US) or learn more about becoming a consultant. Thank you!! Got Great Products? Why should we BUY FROM YOU? Do you have SPECIAL OFFERS and COUPONS? Let’s post some here in the comments and if you see one you like, go and LIKE the Network Marketing Distributor who offered it!!! Think you Don’t want to BUY anything, so it’s not worth looking? WRONG! There are some amazing products out there that REALLY work AND… there are some very creative REPS posting here. So, take a look. If you like what they are offering maybe it will inspire you to make a similar offer and grow your own business. Business tips are everywhere! Watch people who are are successful. Do what they do and become Successful! Jessica Brown Olsen wrote: Buy two get one half price of equal or less value from Just Jewelry, www.justjewelry.com/jessicaolsen, but you have to order directly through me to get this offer, and it is only valid for today! Text or call 907-539-2127 or message me your number and I will call you. You can view the catalog online and then let me know what you want to order. You will need to pay through paypal since JJ doesn’t offer credit card processing for it’s consultants. When I have your order I will create a paypal invoice for you to pay. Melissa Wilder wrote: I am so excited about Jamberry Nails.. they are Made in the USA they are unlike anything on the market for nails! Nail wraps.. not polish, non toxic, last a long time and multiple applications to keep you in any style you want.. www.wildaboutnails.net check it out and contact me for any questions! Shawnika Franklin Spend $31 and get the All-In-One Organizer for $5!! We have a new Summer Catalog and new patterns!! Shop now: www.mythirtyone.com/sfranklin. Request a catalog and be notified of special sales at:Perfectly Pampered Treasures! !